Ham Radio, Hobby Projects related to Communications. A firm based at Greenbackville, Virginia provides parts and kits for Amateur Radio applications. Products include data and audio cables for APRS and packet radio. They also offer simple serial communications testing and monitoring tools. A spinoff of the original LED chaser. It’s based on the PIC16F84 clocked at 10MHz. This is a basic model that can be adapted to many applications. They are much brighter and can be seen during the day better. 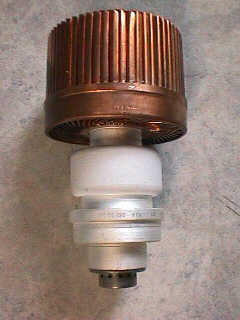 All Mains Inlet Sockets should be Shuttered, so that such a thing does not happen again to any child again. Another Law, No Mains Socket should be less that 5 feet above the ground level. Then we should all move to a 24V home voltage standard, Read more at my Tech blog..
Then ralph has many projects with educative information. A RF Ammeter the Easy Way. A 400 Watt 60 Hertz Power Inverter. These are interesting to study. The design of switching supplies is a bit more involved than traditional “big iron” transformer power supplies. When taken step-by-step, however, it is quite possible for an amateur to design and build a working high power switching power supply. This article describes a high power, high voltage switch mode power supply designed to operate a KW level RF power amplifier. The Litz wire was fashioned by taking two parallel strands of #18 AWG wire about 115 feet long and twisting them together in a clockwise direction with an electric drill until the twisted wires had about two turns per inch. The twisted wire was then cut into four equal length and laid side by side. Amateur Radio Station operated by Maerin Bancroft. The Online Website includes a Technical section with drawings and building instructions for many projects. He has links to various sites that cover the RAE exam theory in detail, this section can be used as a reference for those taking the RAE at a training centre. John Owen has made Enriching Electronics Pages at vwlowen.co.uk. There are many Ham Radio projects too. A highlight is the “Build A PICAXE Weather Station.” This is quite Exhaustive and Detailed. 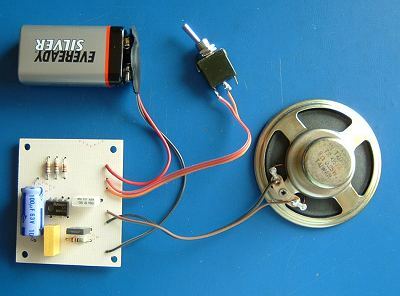 Starting Electronics – a simple first project. 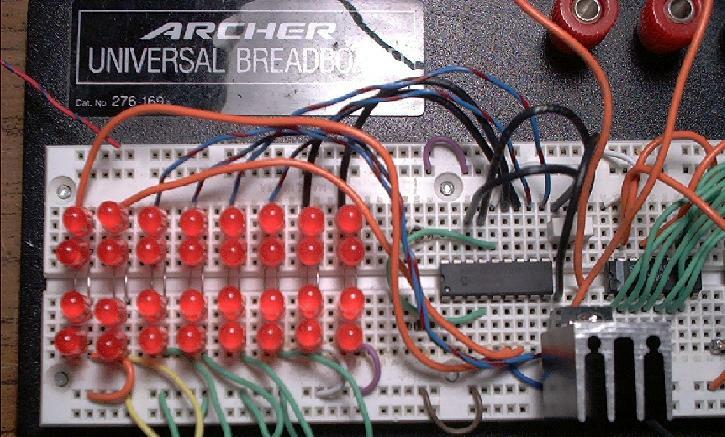 Here he teaches in simple tongue, The method and steps to towards the first project and that too, with the Sacred SG555 Timer. Here is where he dazzles, He has developed very useful Calculators to make your Numbers Game a Piece of Cake. Besides classical functions and dB conversions, RadioCalc includes a converter of Power to field strength commonly used for EMC/EMS test-set-up. Also impedance can be represented as a function of reflection coefficient (somehow like an electronic Smith-chart). This and many other functions are obtained by clicking into the arrow of the “Conversion off” window. Thanks to RadioCalc the different dB charts are obsolete by computing the ratios of Power (W) or Voltages (V) according to dB = 10*log(P2/P1) ou dB = 20*log(V2/V1). Just for a trial : type 100/10 (or just 10) and push the dB button as the ‘W’ mode is chosen, the result will be 10 dB, then choose the ‘V’ mode by clicking in the V button (in the Quick dB window) push again dB, the result is now 20 dB. 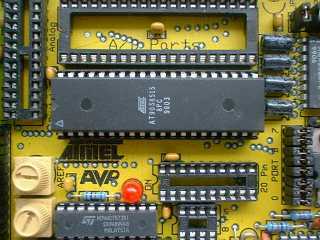 Learning AVR Assembler with practical examples, Want to learn how to program AT90S AVR processors in assembler language? This is the page for you! Erlernen der AVR-Assemblersprache mit praktischen Beispielen. Wollten Sie schon immer Assemblersprache von AT90S AVR-Prozessoren erlernen? Das ist die Seite zum Lernen! Converting a digital value to an analog voltage using a buffered R/2R network, including wave generation like sawtooth, triangle, sinewave forms and a small tone player application. Best of ‘In Practice’ on the web – Articles and resources of long-term interest, including switch-mode power supplies. The Tetrode Boards – PC boards and Kit for Tetrode PA control and protection. “I am not a professional electronics engineer, nor do I have an electronics degree. I make no claims for technical accuracy, good design, or necessarily even originality for the contents of these pages. This ultra-low power QRSS beacon was designed to be as efficient as possible, and produce a milliwatt or few from low voltage, low current supply. My intention was to investigate the use of natural power sources to operate the beacon. Steve G0XAR visited the G0UPL shack and took some photos of proceedings. Combined with a sneakily obtained photo of G0UPL sleeping somewhere in Texas en-route to Ozarkcon 2007, G0XAR produced this very nice QSL card suggestion! Here are two pictures which try to convey the small size of this ‘scope. Compare it to my usual HP1741A, and the size of my hand. While I’m here (and have got some spare space), I’ll also tell you that the cabinet “feet” are in fact screw covers, which are available from the DIY store too. They make perfect feet, screwed onto the aluminium angle. Unlike the usual stick-on self-adhesive feet which you can buy, which have a rather limited lifetime before they will drop off.